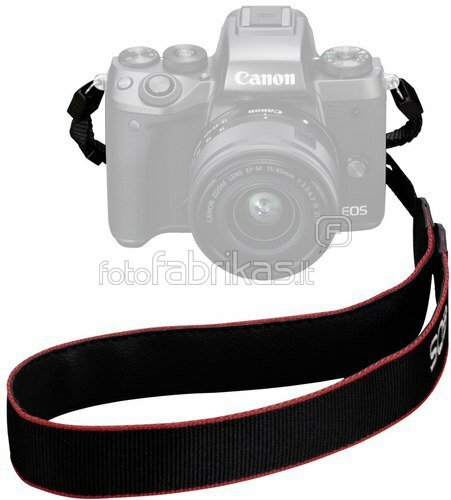 This camera strap from Canon is designed for carrying your Canon EOS cameras from your neck, shoulder, or across your chest. To attach the strap, simply thread each end through its corresponding buckle, lug ring, underside of buckle, and retaining ring. Once attached, the length may be easily adjusted an inch or two with the buckle. To compliment the Canon EOS design, the wider part of the strap is edged with red trim and features the Canon and EOS logos in contrasting white type.